Although the season of giving has come to a close for most of us, Cash Wise in Jamestown has an extra gift that’s sure to comfort kids going through difficult situations during the year. On Friday, January 29, Cash Wise staff presented the Jamestown Police Department with roughly a dozen teddy bears. 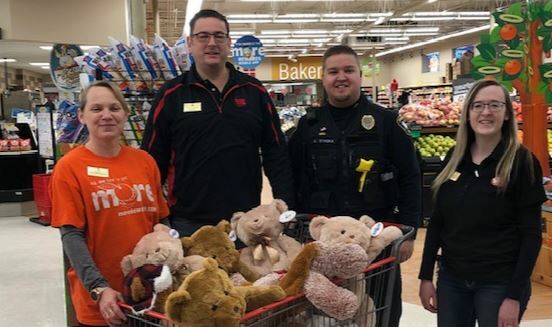 Store Director Matt Arends said the bears were overstock from the holidays, and his team wanted to put them to good use. Thank you to the team at Cash Wise in Jamestown for your innovation and being a shining example of Coborn’s, Inc.’s commitment to the communities it serves.